I’m still alive and still digging, but not as much. 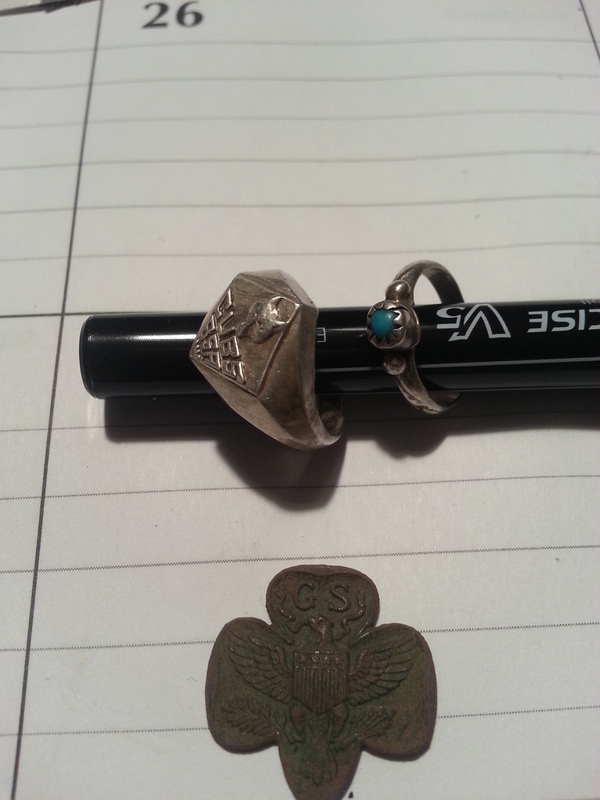 When I’ve been out, silver has been eluding me. 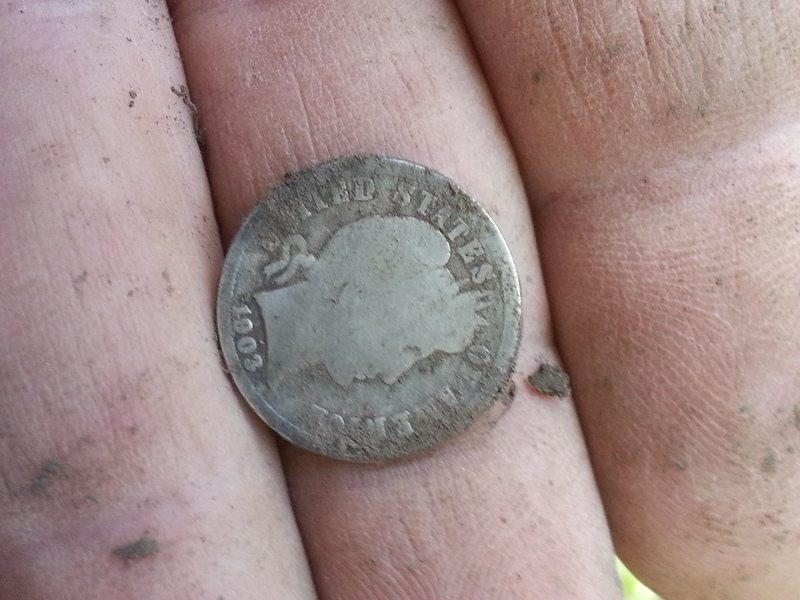 Today I managed to find a silver coin spill. I’ve had very few of those and as the others it was a total surprise. I’d been out for about 45 minutes and only had a wheat to show for it. Then there this weird signal. Mostly iron, but as I circled the spot I would get a 12-47, 12-42 and a 12- 45 once for every five iron numbers. I couldn’t pinpoint the spot which made me consider it wasn’t a nail. 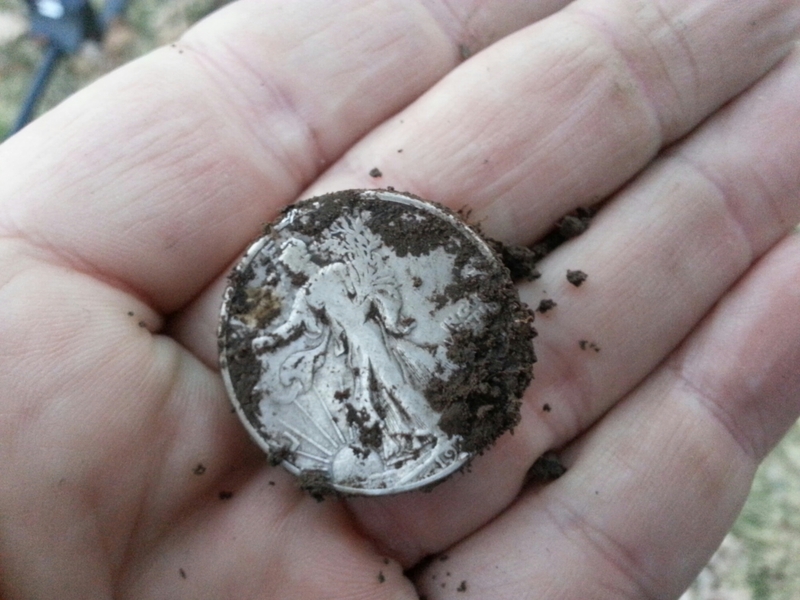 I dug a wide plug and a silver dime was sticking out of the plug. 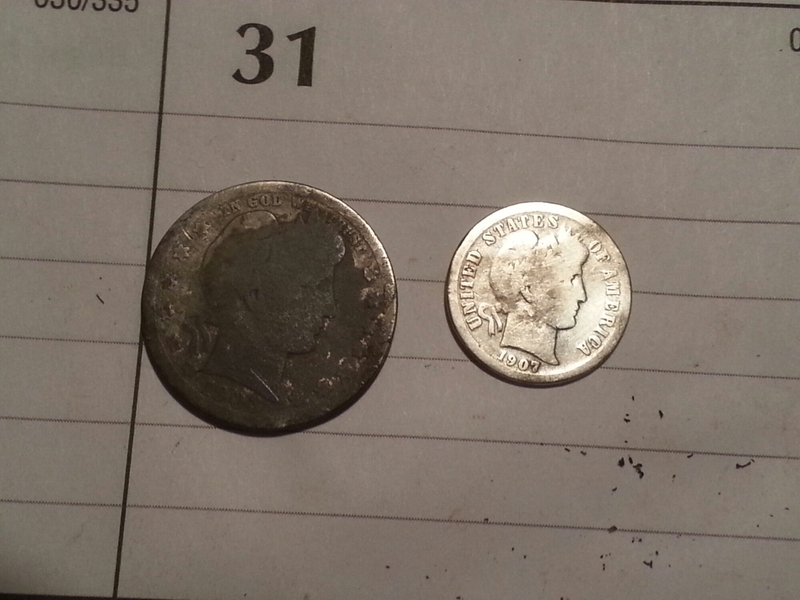 I managed to pull two more silver dimes and a wheat. I ended up with 2 Mercs and a Rosie for silver. 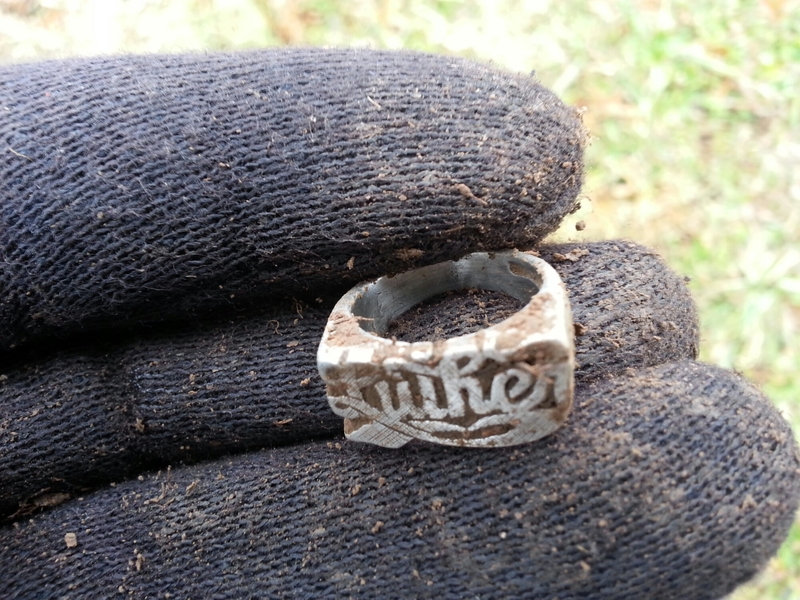 I really needed that to remind there is still silver in those old parks. 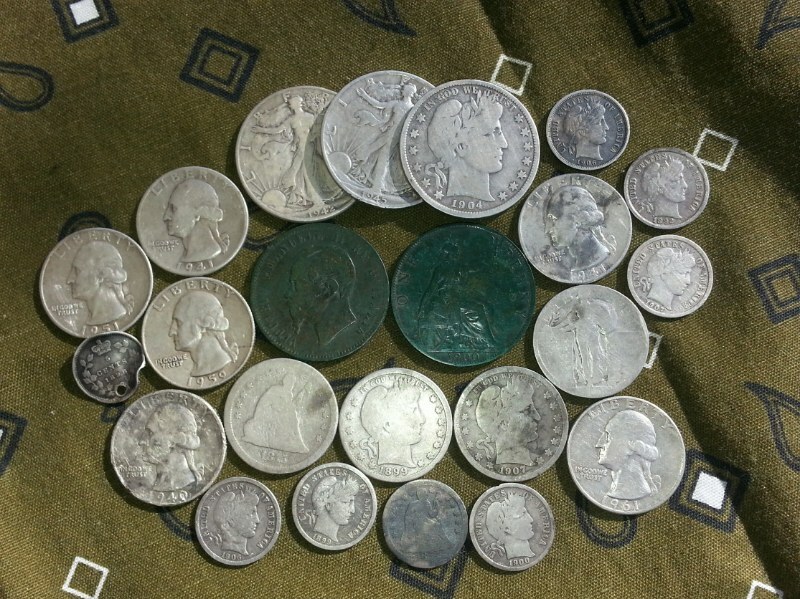 I’m at 24 silver coins for the year and far short from my last years totals. I suppose that how it works. I hope your hunts have been going well and good luck. Silver has been turning up, but slower than I hoped. 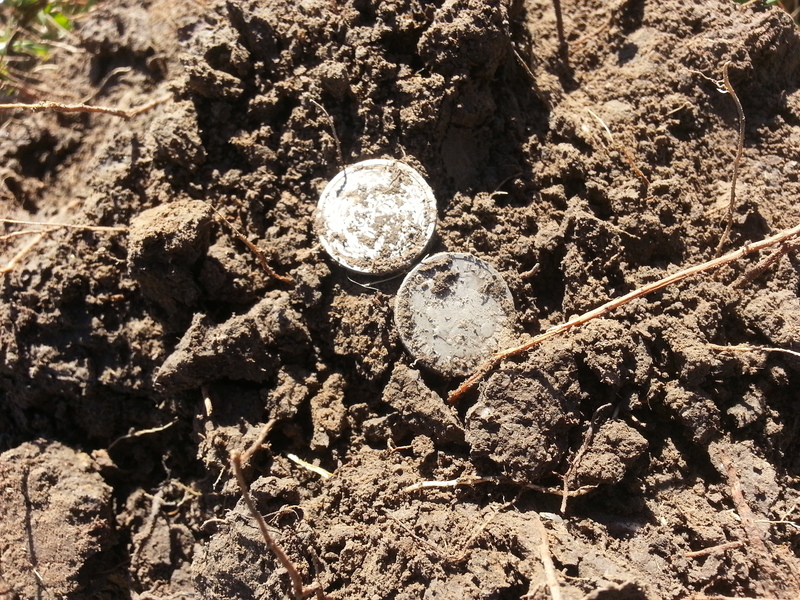 I did find a little spot that turned up old wheats and a Merc. 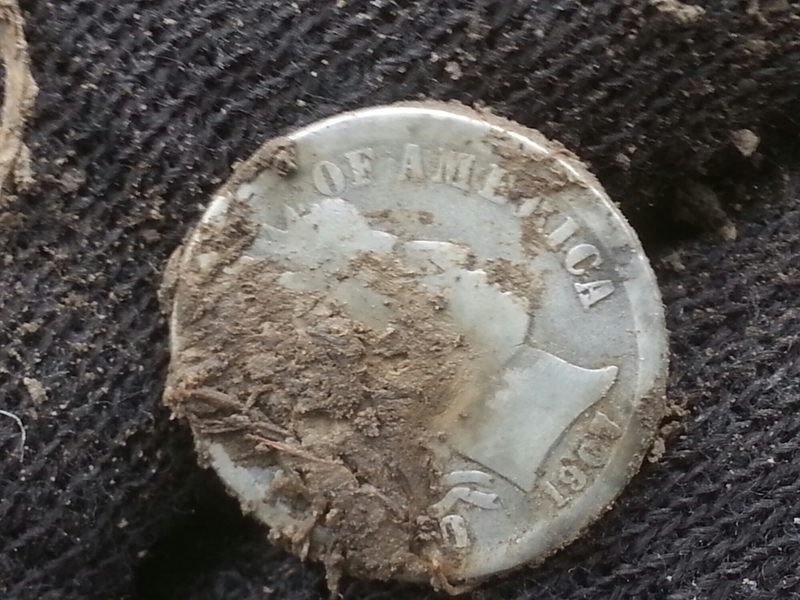 So I decided to dig any signal that wasn’t normal trash numbers and was rewarded with a V Nickel. 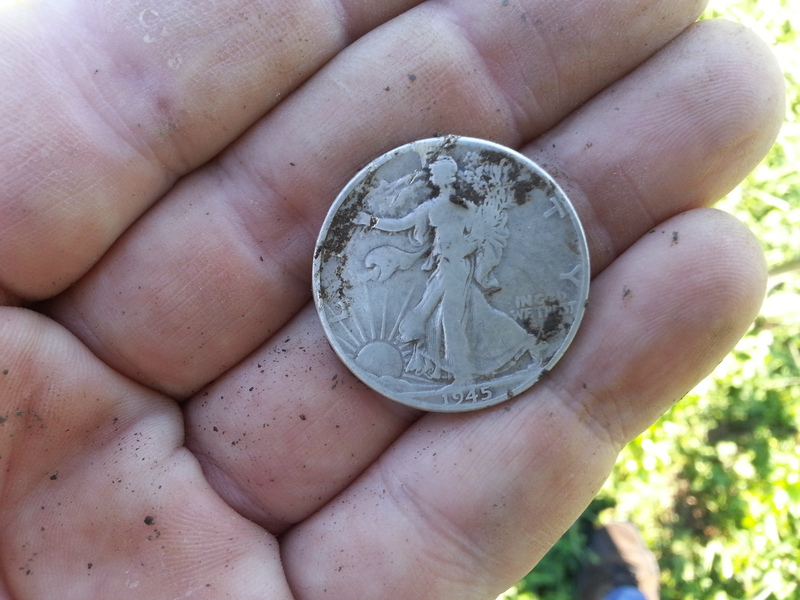 I’m surprised I don’t find more Buffalo Nickels. I’ve been taking the time to dig signals with a good sound, but not so good numbers. I’ve managed at least five wheats that way. Some had trash in the hole with them and some with no trash. So I can’t explain why they rang up differently. I haven’t had the same luck with silver yet. Work in progress 🙂 Good luck with your hunts!